I’d been apprehensive about diving ever since we had planned this trip. I knew it would be cost effective to take a course in South East Asia, but there was but one problem. For months I’ve been trying to work out whether I could dive, whether I would drown, or whether I would even enjoy it (I’m certainly not a dare devil). And after hearing from others that you need to take a ‘SWIM TEST’ before you could dive, I had been dreading it. 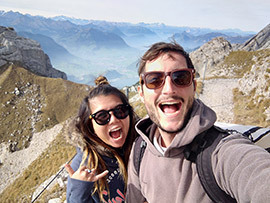 But considering we’re on this once in a lifetime adventure, and my main ambition traveling was to try new things and challenge myself, I decided to accept this challenge. But one week later, with 10 dives done and dusted, I can safely say that I’m very proud that I was able to do this, and actually enjoy it! 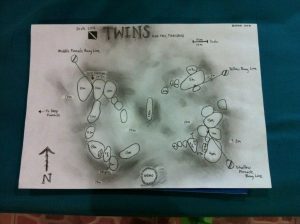 Things to note – there was homework every night during the Open Water 4 day course. We were knackered every night, and dreaded the homework as it was quite dry, though the information has stuck in our heads. I only passed the swim test thanks to Lionel’s perseverance in the months, weeks, leading up to it. A few months ago I could barely put my head under the water. Then in Port Melbourne, he convinced me to swim out to the pier. I clutched his neck a few times, panicking, but I had made it. While we were in Singapore, we had a pool that we frequented with the family but I didn’t make much progress there. In Kuala Lumpa, after our splurge on an AirBnB accommodation that included a rooftop pool, I suddenly could dive down to the bottom after much patience from Lionel. Major progress! 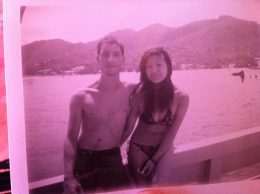 And then when we were snorkeling at the Perhentians, I wasn’t offered a life jacket so I went without, and I managed to keep afloat. Again, major success! I did however, dread every night as I knew the next day we would be diving. Despite enjoying it once we were in the water, my greatest cause of concern was getting into the water. I hate jumping into water, I always slide in using the ladder, careful not to splash or dunk my head in the water, as I always end up taking a breath just as my head is in the water. The first time I jumped in with my dive gear, I face planted into the water, my mask flew off and I swallowed lots of salt water. It was horrible. Now I’m getting better though; my favourite way of getting into the water is the ‘Dead Mexican,’ falling backwards into the water. Best thing about the gear is that you can breathe underwater as you’ve got your regulator in! 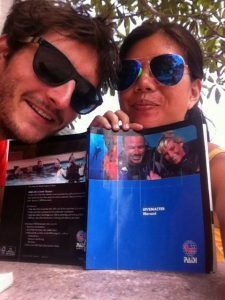 After finishing out Open Water Course, we decided to take our Advanced Course too. 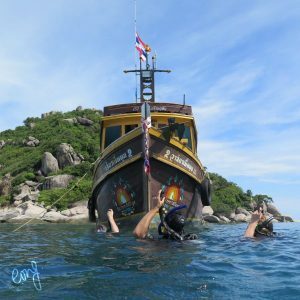 Lionel was a bit more enthusiastic about this, but after realizing we would be improving our water confidence with instructors (rather just the ‘Fun Dives’ where you’re left up to your own devices) I was convinced. It also means I can go down to 30 meters now, instead of being restricted to 18m! 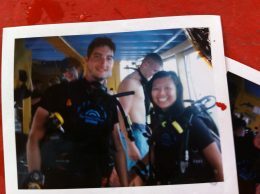 I’m really happy we took the diving courses, and I’m a lot more confident in water now. It’s also the first time on the trip that i’ve felt that I challenged myself to do something outside of my comfort zone! I love scuba diving not only for the adventure, but also for the worderful and unique thing you get to see below the water surface. In the past years I’ve taken a lot of interesting and amazing pictures which I like to store in the https://dive.site logbook, along with all my diving logs. I was still on edge writing that so it’s probably really scattered and doesn’t make much sense. Haha.